Multi-Instrumentalist, generally playing saxophone and trumpet. 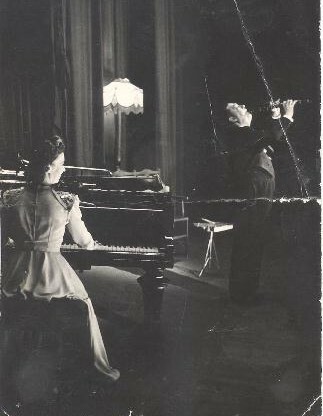 Art left Canada for Britain as a young 19 year old musician with Paul Specht's Canadian Club Orchestra. 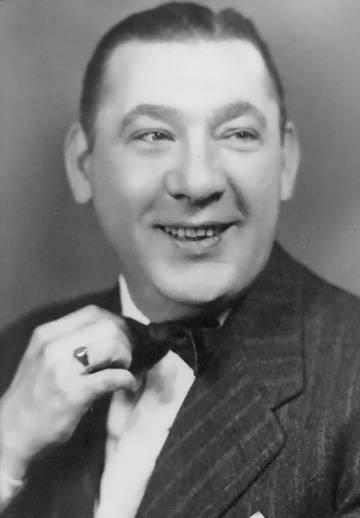 Specht wasn't with the band at all, but put Orville Johnson in as director. The band made a handful of recordings for Columbia in England which, with the exception of "The Prisoner's Song" (not a representative title!) are quite difficult to find. According to "Melody Maker" in 1926, Art was employed as a trumpeter with the band. At this young age, he led this group for a time and then subsequently worked in the New Prince's Toronto Band in 1926. This was a band of fellow Canadians which had arrived in England in 1924 and was directed by Hal Swain. At the time Art joined the band in February 1926, it seems that Swain had left (or was maybe just absent for this session). It is understood there was some disagreement about the forthcoming Continental tour and banjoist Dave Caplan took over directorship of the band. 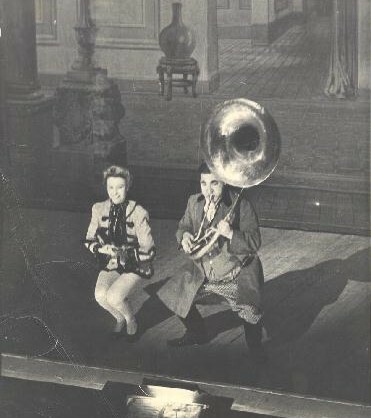 Art Christmas is shown in British Dance Bands On Record as playing tenor saxophone. Certainly there is no sign of him playing trumpet on the Columbia session (the band's last), though he may double on alto-sax. (Note: Swain's disagreement, if it existed, couldn't have been acrimonious; on the band's return from Germany, most of them went back to work for him at the "New Princes"). 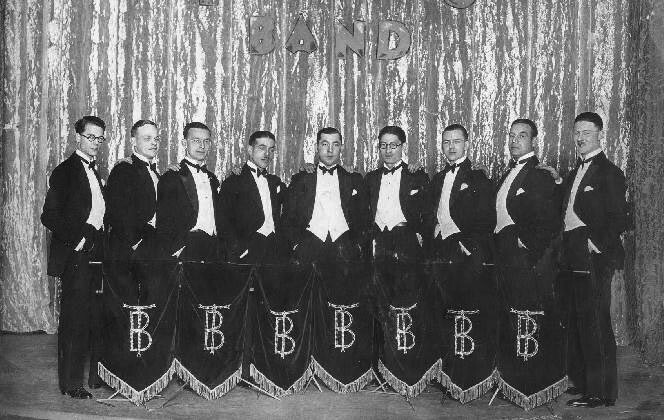 The band, now called "Dave Caplan's Toronto Band from Canada" recorded many sides for Polydor in Germany in the autumn of 1926. Horst Lange's Discography of German Dance Music, shows that, since the last Columbia session in February 1926, the personnel of the band had changed considerably, with only Art, Les Allen, Dave Caplan and drummer Ken Kenny of the original band remaining. Art worked extensively in Britain and Europe during the late 1920's and led his own band in Budapest and Berlin. He was briefly with the Savoy Orpheans in London, then joined Billy Mason in late 1930. 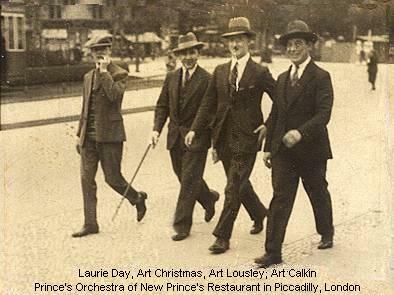 Art played (and recorded) with Percival Mackey and Dave Frost from 1931 to 1933 before joining up with Roy Fox for a long stay, mainly playing saxophone, but doubling on trumpet, trombone, xylophone, drums and piano and even bagpipes from March 1933 until late 1938. After Roy Fox had to disband due to ill-health in August 1938, Art worked for Arthur Rosebery (1938-39), performed with Sid Millward's "Nitwits" and also played for Joe Ferrie in 1939 before joining Jack Jackson (playing with his band on one recording session in November of that year). During the late 1930's and early 1940's, Art Christmas was probably "The most sought after musician in England" (Melody Maker Magazine obituary upon his death). From 1940 to 1946, Art decided to play mainly with his dear friend Jack Payne. When the show "For The Fun Of It" asked him to join them he did and toured all over England for some time during 1946 and 1947. The show was directed by Jack Payne and also included Frankie Howerd, Max Bygraves and Donald Peers. 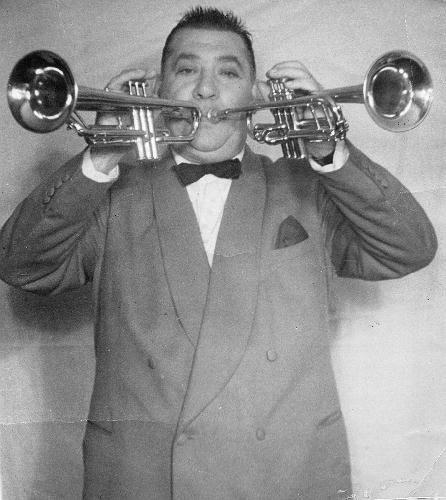 Art then led his own Foulharmonic Orchestra for the radio and stage show "Ignorance Is Bliss" from 1947 to 1950. During the 1950's, Art became a publican in Hackney, London, then in 1954 moved back to Canada with his wife Maisie and son Arthur. His son, also known as Art, became one of Canada's most influential and successful musicians, music educators and conductors. He himself came back to Britain for a tour with his musical theatre group known as "The Art Christmas Aggregation" in the summer of 1990. Art senior, on the advice of his youngest brother Milton (a high school principal), acquired his teaching certificates and ended his career teaching music at the high school level. Art died from a massive heart attack in Blind River, Ontario in 1961. He was 55. The British music magazine "Melody Maker" once said of Art "Art Christmas' alto sax playing is distinguished by a daringly virtuoso style and inventive technique that displays a harmonic and rhythmic sophistication well in advance of his time. He was indeed thought of by many fans and musicians alike to be England's leading Sax and Multi instrumentalist for many years from the late 1930's until the late 1940's. Montage showing Art, his son Art jr and grandson, Jeff.